Sport career: At the age of 15, she began rock climbing. She dedicated many years to it, specializing in ‘Big wall’, ascents in Yosemite, the Rockies, the Alps, the Andes, the Himalayas, Patagonia and Baffin Island. She has participated in 8 expeditions to different mountains in the Himalayas, reaching more than 8,000 meters on 6 occasions, culminating in 1987 with her ascent of Shishapangma (8,047 meters) where she made the first traverse of the shoulder between the west summit and the main summit. In doing so, she became the first Latin American woman to reach an 8,000 meters summit. In 1989, she reached the south summit of Everest at 8,750 m., only 98 meters from the summit (8,848 m). She decided to descend due to serious hypoxia. She has achieved many Mexican first ascents, and some world firsts. For example she made the first female ascent of the Aguja Poincenot in Patagonia and the south face of Svanvhit, in the Arctic (Baffin Island). 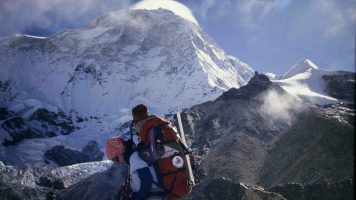 In 1992, she returned to the Himalayas with the intention of climbing Kangchenjunga (3rd highest mountain in the world at 8,586 meters) and which at that time had not been climbed by any women. She had to turn back at 7,850 meters when she was caught in a fierce storm, which left here with severe frostbite in her fingers and hands – she still hasn’t fully recovered from these injuries. After a period during which she didn’t go back to high mountains and during which she engaged in other sporting activities, she returned to the Himalayas in 1999 and on the 5th May she reached the summit of Everest, in doing so she became the first Latin American woman to reach it. Currently, she participates in extreme team sporting events which include swimming, climbing, running, mountain biking, orienteering and rafting, to name but a few. She has received numerous prizes for her sporting achievements including in 1985, the National Youth Prize. She was named sportswoman of the century for climbing by CONADE and the Government of México. 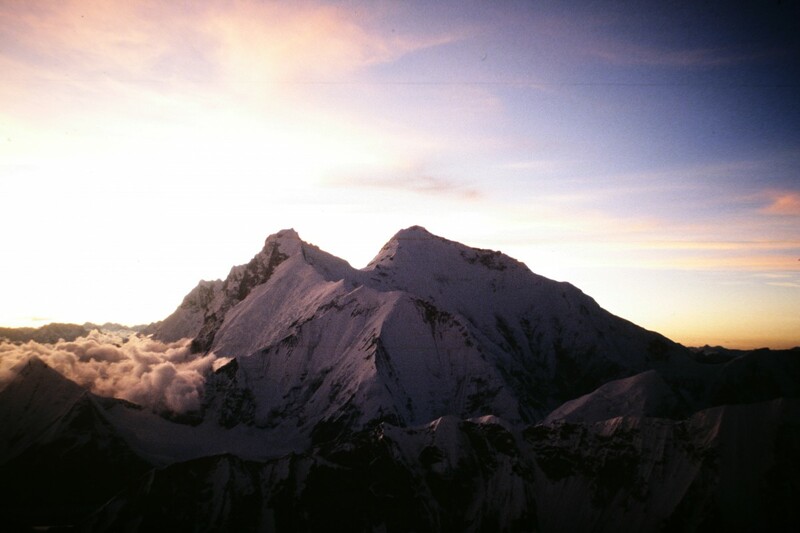 The book, Experiences in the Himalaya – Adventure of Hope which was written in conjunction with Carlos Carsolio received the Editorial Merit Prize in 1991. Elsa’s philosophy and her attitude in confronting risks had allowed her to reach high points in many areas of life. Also has great success as a business woman and lecturer. She wrote a book of some of her adventures in mountains for many years and along the world: TRIUNFAR AL EXTREMO, and there she puts you in the dramatics of climbing and risking your life in every expedition. She heads for many years up the Carsolio Center for Motivational Excellence where she helps a select group of instructors develop leadership programs for people and gives motivational courses for executives of major Mexican businesses, until today but with her own new company Eleva, where she attend those kind of clients, and also coach many people through social networks and her blog in elsaavila.com, similary she continues imparting Conferences to several different audiences all over Mexico and occasionally abroad. From 1993 to 1998 she was semi-retired from high altitude climbing because of frostbite in her hands during the expedition to Kanchenjunga. She did some sporadic ascents and continues training to achieve recovery and actually her fingers can adapt to cold temperatures, although not totally.